One of the most prominent peaks in the Bridger Range overlooking Bozeman, Baldy Mountain is a classic summit. 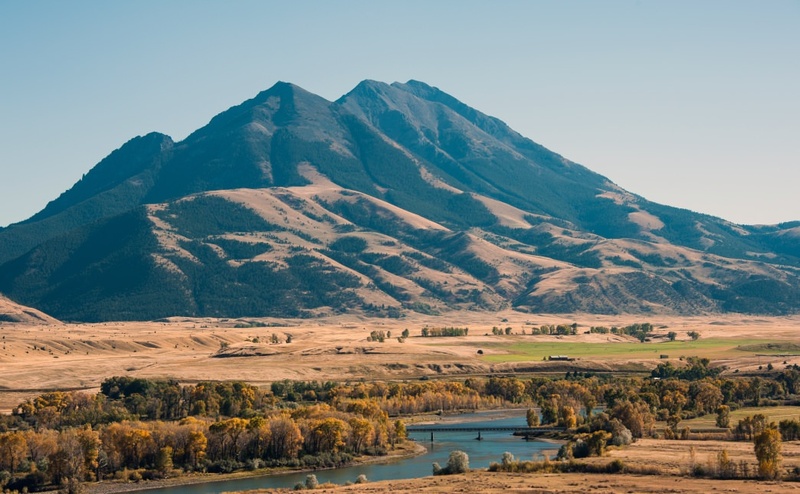 The climb up Mount Baldy is a quad-busting 4,639 feet over the course of the 9.6-mile round trip, but hikers will be rewarded by a stunning view of the Gallatin Valley. Start at the popular "M" Trail and continue climbing. You’ll reach a lush meadow near the end of the hike. Rest your legs and grab a snack before tackling the final push up a scree slope to the summit. And don’t rest when you think you’ve made it, as you’ll need to push past the deceitful false summit to reach the true one. Sacagawea Peak is a favorite with locals thanks to the population of mountain goats that call the area home—there’s hardly a more welcome distraction on a climb than spotting the local wildlife. The 4.1-mile, out-and-back trail gains 1,856 feet as it climbs to the summit. Thanks to its moderate rating, it’s also popular with trail runners as well as hikers. Enjoy a scenic lake view on your way to the peak, then relax and take in the sights of the Gallatin National Forest. Just south of Sacagawea, Naya Nuki Peak climbs 1,935 feet over the 4.8-mile, round-trip hike to the top. Offering formidable views of the Gallatin Valley as well as more ranges both east and west, Naya Nuki is less trafficked than Baldy and Sacagawea and can offer a peaceful day’s distraction. Keep an eye out for resident mountain goats and come prepared for high winds on the ridge. In fact, the entire Bridger ridge is often quite windy, and the temperature can be cold even during the summer months. Saddle Peak is yet another prominent peak in the Bridger Range that borders Bozeman’s east side. The 5.5-mile out-and-back trail climbs 2,000 feet and is best accessed from Fairy Lake Campground in the Bridgers. It’s popular with dog owners and can be quite busy during the summer months, but the views are worth the trek and the potential traffic. From the summit, hikers can see the Gallatin and Madison Ranges to the west and the Crazy Mountains and Absarokas to the east. Once at the summit, hike another mile south to the summit of Sacagawea Peak and check two peaks off your list. Had your fill of the Bridger Range and looking for something different? Chestnut Mountain is located off the Trail Creek exit near Bozeman Pass, easily accessible just off the interstate. The 4.6-mile route climbs 2,200 feet, winding past the Frog Creek Pinnacles to the ridge of Chestnut Mountain. Those looking for a little extra adventure can take a short trail off the main pathway (about one mile after the trail begins) for rock climbing access or simply a wildflower-laden hike to the base of Frog Rock. 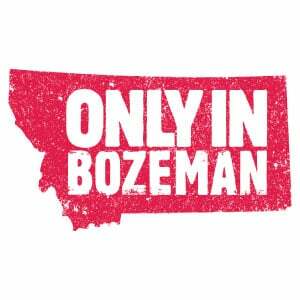 It’s hard to find a hike near Bozeman that’s as well-known as Hyalite Peak. A local’s favorite, this hike winds along a stream and 11 beautiful waterfalls, eventually leading to a dramatic basin that is home to Hyalite Lake. Push onward to reach Hyalite Summit, all the while enjoying stark, awe-inspiring scenes back down Hyalite Canyon. At the summit, sit down, grab a snack and soak in an array of views including Paradise Valley, Big Sky, the Gallatin Valley, and even Yellowstone. The first half of the trail features good tree coverage—important on hot summer days—but the rest is fairly stark, so pack the sunscreen and a rain jacket for afternoon storms. Blackmore Peak is another Hyalite Canyon gem. The trailhead starts just before Hyalite Reservoir (a mere 25-minute drive from downtown Bozeman) and winds upward through pine forests and mountain meadows for 10 miles, gaining 3,540 feet. The hike is a workout, but ambitious outdoor-folk are rewarded with spectacular views from the peak, both of Hyalite Reservoir and the Bridger Mountains in the distance. Blackmore connects with several other trails in the Hyalite Canyon system and is popular with hikers and trail runners alike. Located in the Paradise Valley just south of nearby Livingston, Montana, Emigrant Peak has a bit of a nefarious reputation. The formidable mountain gains 5,021 feet over the 7.6-mile round trip and doesn’t give hikers much time to warm up—the hardscrabble trail starts climbing early on and continues straight up the mountain. Eventually, the trail itself disappears into the mountain’s rocky side, and hikers are left with only one direction: up. The mountain is a well-known lightning rod during the summer, so start the trek quite early and be on the lookout for afternoon summer thunderstorms. As often seems to be the case, however, hard work is rewarded with breathtaking views of the Absaroka Range and Paradise Valley from the summit.